located near whole foods on the northeast corner or river & craycroft! Find out how you can save by being a member of any one of our affiliates! Are you a Physical Therapist, Personal Trainer,or Naturopath that works on referrals? Call or email and find out how to become a partner today! Call 520-829-7271 and ask for Dani! tucson's only no-nitrogen true whole body cryotherapy! I had extreme pain everywhere in my body, especially my hips. (After cryotherapy) I have less pain and I have been able to start riding my horses again. If I hadn't come here I wouldn't have been able to continue teaching; I would have needed to use a cane or walker in the classroom. Why I Cryo…and why at US Cryotherapy! Don’t forget to come out and support FC Tucson in their first home game! Peep this sweet Easter Promotion– for $60 you and a friend can come in and each choose 3 services! Yes this promotion will cover both of you! 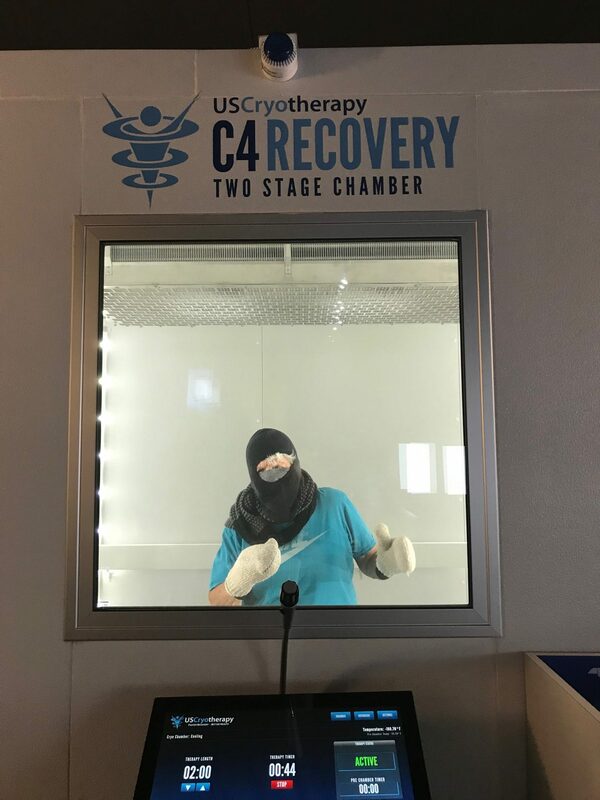 US Cryotherapy – Tucson, AZ is at US Cryotherapy – Tucson, AZ. Shark invasion at @uscryo_tucson !! FCTucson back from the road! Prepping for the weekend!